The Gold Coast Suns played host to the Geelong Cats when they officially opened Metricon Stadium. 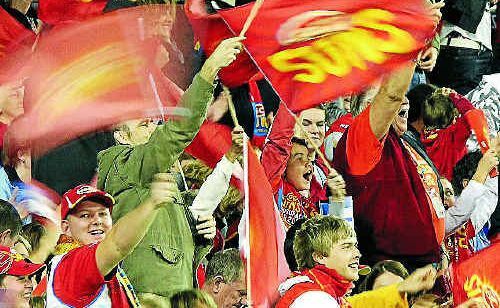 THE OPENING game for the Gold Coast Suns featured more than 20,000 people on Saturday night, but also left more than 3000 empty seats. The $144million stadium’s official attendance for the game against the Geelong Cats was listed as 21,485 people. 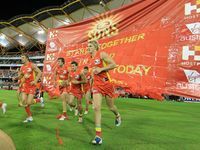 The stadium is built to seat 25,000 spectators and the Gold Coast Suns website claims a membership base of 13,574 members. 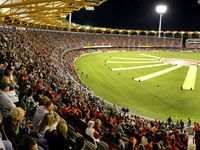 Queensland Sport Minister Phil Reeves said the crowd numbers at Metricon were part of one of the biggest sporting weeks on record. 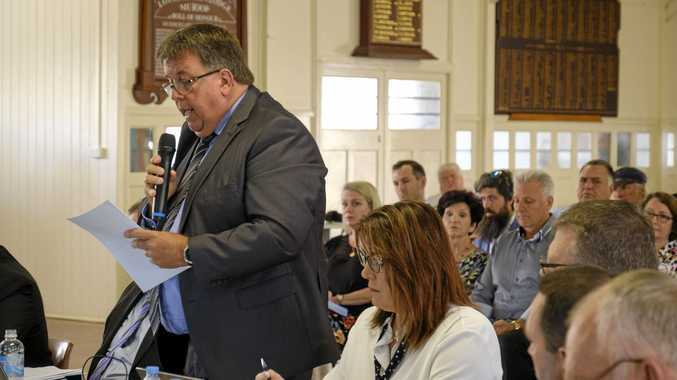 “Queenslanders have voted with their feet, enjoying this super sports week at our world-class venues,” Mr Reeves said. The Daily News attempted to contact the Gold Coast Suns for comment. The Suns have won two out of nine matches this season, already eclipsing the expectations of some experts. The next Suns home game will be on June 11 against the North Melbourne Kangaroos.